A Missal gives the service of the mass and is used by the clergy. The text is lengthy and in this large script would occupy many hundred pages. 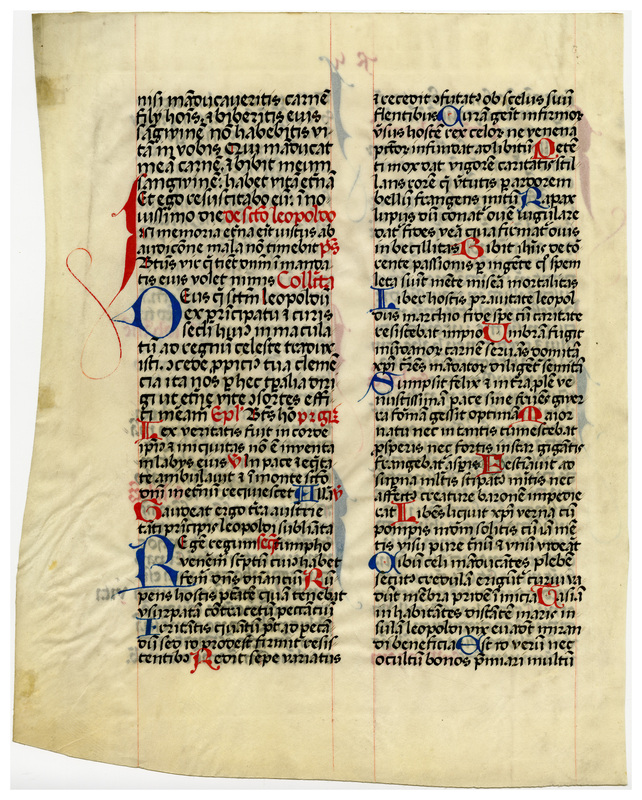 One wonders why this particular manuscript copy on vellum was written some forty years after Antonius Zarotus had printed the first Missal in Milan (1471 A.D.), for, at this time, Missals were frequently reprinted on paper and sold at only a fraction of the cost of a manuscript copy. This bâtarde style of semi-gothic script was the molding force for the fraktur and schwabacher type-faces which dominated German printing for several centuries. This very large leaf demonstrates a high contrast between leaf surface and inks. There is a contents abbreviation in the top center of each recto, possibly a gathering guide (letter + number). 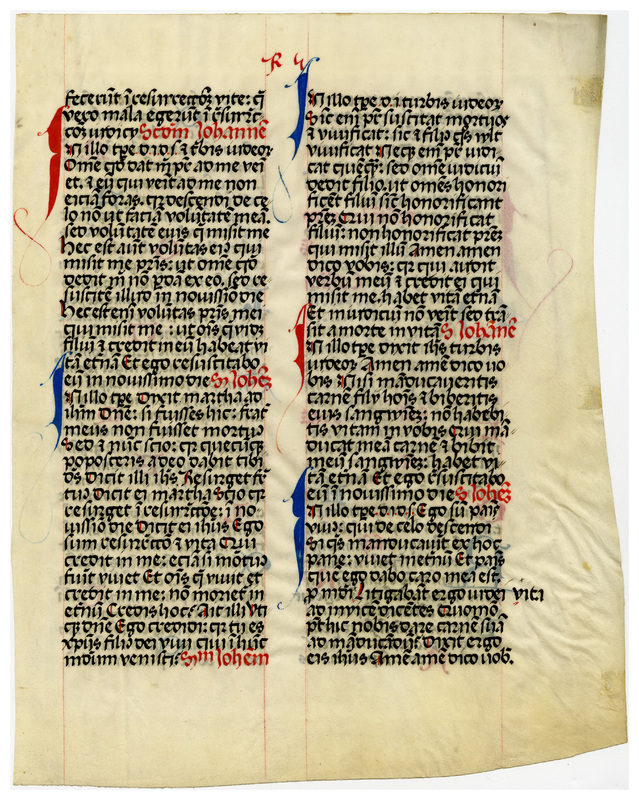 “E0049 Leaf from a Missal (Missale),” Digital Exhibits | Denison University Archives & Special Collections, accessed April 23, 2019, http://exhibits.denisonarchives.org/items/show/69.